Create some Christmas cheer for the holidays almost as fast as Rudolph can deliver Santa to your rooftop. 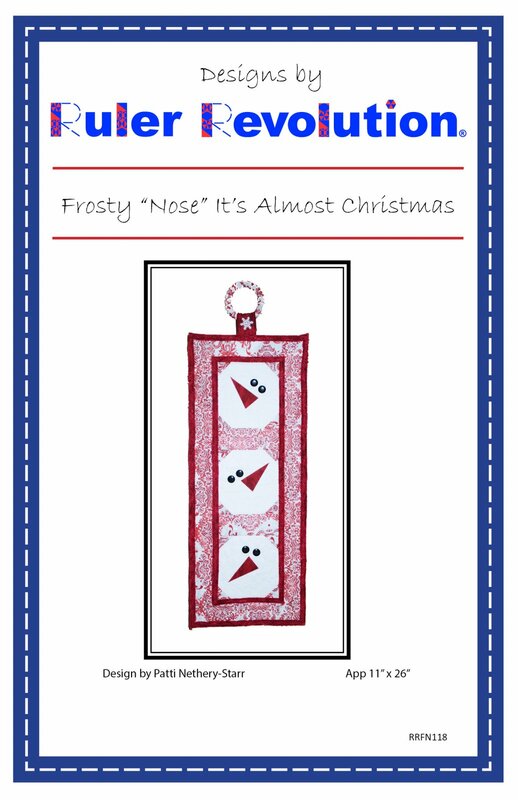 This merry little wall hanging can be completed in an afternoon. Create two or three at once and be ready for the gift giving season. Or. gather with some quilting friends and while having a cup of hot chocolate, sew up several wall hangings to deliver in Christmas baskets.